A decade ago, buying the black pearls was straightforward. Whether Russian or Iranian, almost all sturgeon eggs came from the Caspian Sea, and it was common knowledge that beluga was the best, followed by osetra and sevruga. In January 2006, this knowledge became as useful as an eight-track tape. A toxic mix of pollution, poaching, and overfishing had put 85% of the global sturgeon population at risk, and the worldwide trade of wild caviar was finally banned. Nonetheless, the global appetite for the coveted delicacy did not disappear, and that demand has since created a dynamic market for sustainably farmed sturgeon. Today, anyone can legally purchase, via the Internet, caviar of exceptional quality from well-run caviar farms. You just have to know how to shop. As before, caviar should be evaluated by three ­criteria: taste, texture, and tone. The taste should be fresh, nutty, and creamy. There should be no fishy aroma or aftertaste. The texture of the eggs should be firm, smooth, and a little moist to the touch, never sticky or wet. Upon taking a spoonful, you should be able to use your tongue to separate the grains on the roof of your mouth. Tone simply means color. Some people prize golden caviar; others prefer silver hues or shiny black pearls. You also need to know your producer. Like heirloom peaches and grass-fed beef, caviar has entered the age of the celebrity farmer. The key to buying high-quality cured sturgeon roe is to know its origins, which does not mean fine-food purveyors like ­Petrossian and Zabar’s, which repackage caviar under their own labels. It means knowing the farms from which they source their product. It is a geographically diverse group that includes—but is by no means limited to—Caviar Giaveri in Italy, Galilee Caviar in Israel, Mottra Caviar in Latvia, Kaluga Queen on China’s Russian border, Royal Belgian Caviar, and Fish Breeders of Idaho. Prices vary from $53 to $394 for a 30-gram tin. Pristine water is why these particular farms are sought out. The best fish farms have a superb water source and use recirculating aquaculture to cleanse and re-oxygenate the water in their pools. Many of these pools are also temperature controlled to mimic the sturgeon’s natural spawning cycle. Latvia’s Mottra Caviar, whose farm has earned a seal of approval from the official Slow Food organization, takes the purity of their environment to the extreme. To ensure a fresh product with no muddy aftertaste, the sturgeon are raised in temperature-controlled pools with water pumped from artesian wells 500 feet below the earth. Hangers equipped with air-filtration systems protect the pools from pollutants and local birds. Some fine-caviar purveyors, such as Browne Trading, have started cobranding with premium sturgeon farms in order to create more transparency in the market. “This way, the consumer knows ­everything about their caviar, from the sturgeon’s species, to its diet, to its country of origin and how it was raised,” says Rod Browne Mitchell, Browne’s president. Whether your local caviar purveyors cobrand or not, they should be able to tell you exactly where their caviar was sourced and how it was cultivated. Species matter, as well. Beluga caviar has been banned in the U.S. since October 2008, though China’s Kaluga Queen exports a beluga hybrid that is a true indulgence. Sevruga is nearly impossible to raise in captivity and has mostly disappeared from the marketplace. Of the traditional caviars, only osetra remains available, and it has become the connoisseurs’ caviar of choice. Keep in mind that osetra comes exclusively from Russian sturgeon. Be careful: “Siberian Osetra” is a misnomer used to confuse consumers. Osetra simply means sturgeon in Russian, and ­Siberian sturgeon is a separate species that is far easier to breed. The white-sturgeon transmontanus is, in contrast, increasingly considered a premium-quality caviar. Native to our West Coast, it has a fine grain and nutty flavor similar to osetra. Finally, be sure to check the “sell by” date. Caviar is a cured product whose flavor evolves and matures in the months directly following the harvest, but it does not stay fresh forever. Most ­experts recommend consuming caviar within six months of packaging. If you open a jar of caviar and it smells fishy, return it to the store. Most retailers won’t balk at making you whole. When serving caviar, I prefer to pour Champagne that is either one hundred percent chardonnay, known as a Blanc de Blancs, or one with a base wine dominated by the grape variety. Chardonnay lends Champagne its elegance. It brings freshness, structure and aromas of white flowers. What's more, the alchemy of Champagne production (second fermentation in the bottle and years in the cellar resting on sediment), encourages chardonnay-based Champagnes to develop the same characteristics we associate with fine caviar and its accoutrements. The wines become creamy on the palate, tasting of almonds and hazelnuts. They take on a suggestion of the sea, reflecting the chalky soil the vines are grown on. There are even hints of brioche, evocative of lightly buttered toast points. Of course, Blanc de Blancs Champagnes don't taste like caviar, instead they suggests the same notes. The flavors are complementary and this creates a sense of harmony when the two are served together. 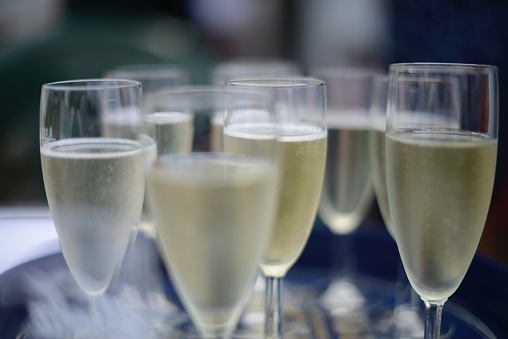 What is a "Non-Dosage" or "Brut Nature" Champagne? The terms “non-dosage” or “brut nature” on a bottle of Champagne may mean that no sugar has been sugar added at the end, but don’t be fooled, these are far from the sparkling equivalent of a SkinnyGirl drink. They are more akin to the feat of appearing gorgeous on camera without makeup. Just as it takes a great beauty to successfully forego a little foundation before submitting to the camera’s lens, it takes a truly exceptional base wine to make a compelling “non-dosage” or “brut nature” Champagne. To understand why this is so, it helps to review the methode traditional used in Champagne production. Traditionally, Champagne is made by bottling a base wine made of chardonnay, pinot noir and pinot meunier, then adding a liqueur de tirage (wine mixed with sugar and yeasts) to initiate a second, in-bottle fermentation, which gives carbon dioxide off as a by-product, lending the wine its distinctive effervescence. The wine is then aged in bottle for at least fifteen months. At the end of the aging process, the sediment from the second fermentation is coaxed into the neck of the bottle by a process called riddling. The neck is then flash frozen and its contents are pulled out like a stopper. Finally, the dosage (wine mixed with cane sugar) is traditionally added before the bottle is re-corked. 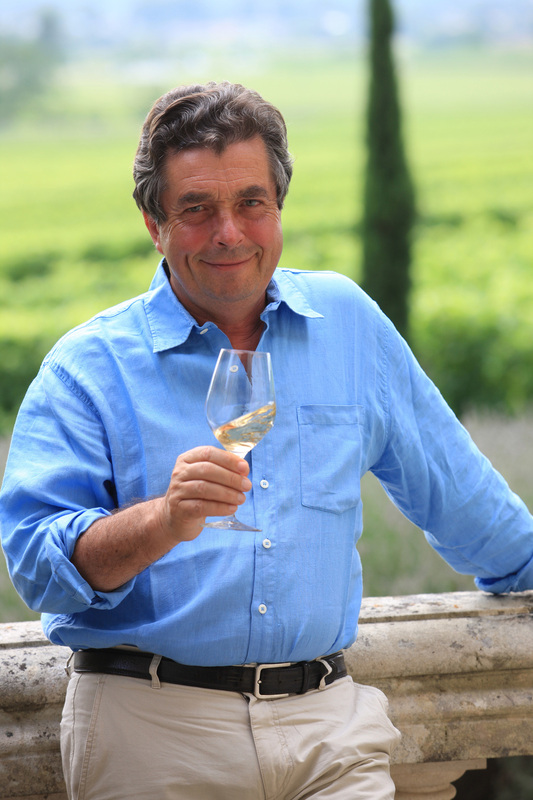 A renewed focus on farming, the growing importance of grower Champagnes, a wider understanding of Champagne as wine, the preference for drier wines, and global warming have all played a roll in the growing importance of the “non-dosage” or “brut nature” category. 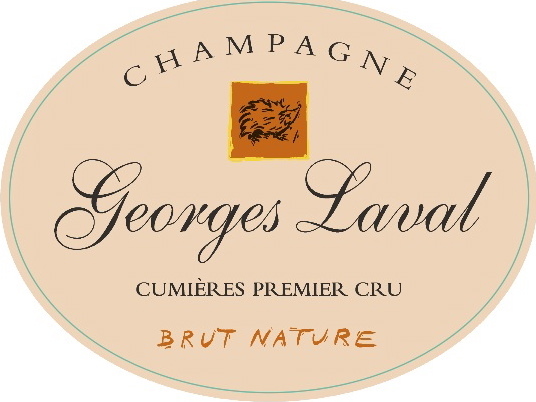 If you have not yet tried one, the Ayala Brut Nature, Pol Roger Pure, Benoît Lahaye Brut Nature, or any of bottle from George Laval or Tarlant are an all excellent places to begin to explore Champagne stripped down to its essence. As the Gramercy Tavern Beverage Director, Juliette Pope manages every aspect of the restaurant’s wine program from selecting wines, to meeting budgets to the logistics of cellaring, all with an eye toward delighting their eclectic clientele. 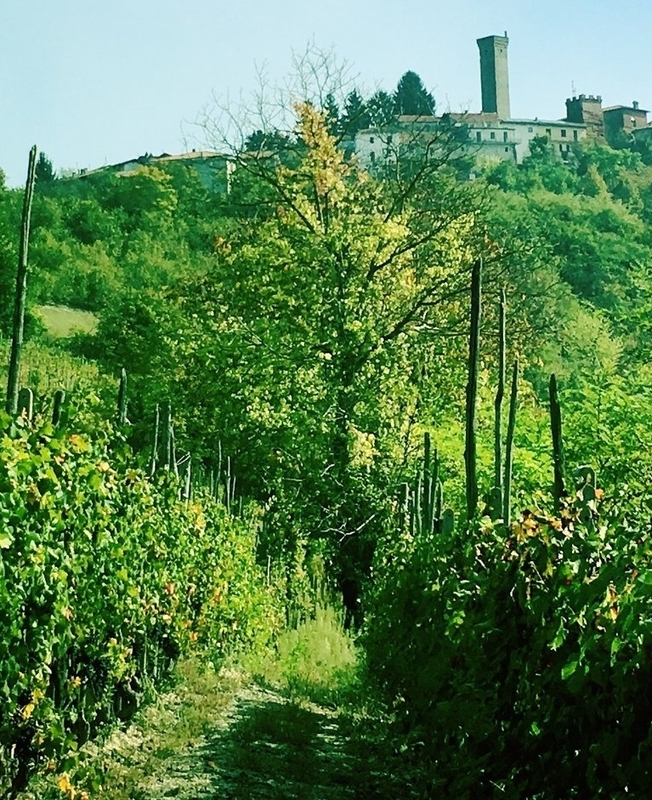 She chooses wines for a busy casual tavern, a more formal main dining room, locals who frequent the restaurant three times a week and tourists with no fine dining experience. Juliette knows how a list full of unfamiliar wines can make guests anxious, since Gramercy Tavern never pours your typical pinot grigio by the glass. Here she offers advice on how to make your interaction with a sommelier a success. SM: When should you ask for the help of a sommelier? JP: Any time you don’t see a bottle that rings a bell or fits your budget, ask for help. If the only sauvignon blanc by the bottle is $100 and you want to spend $50, you need to talk to somebody. SM: How can a sommelier help you? JP: A sommelier can direct you to a wine that is stylistically up your alley, even if it is unfamiliar. For example, I find people who typically drink sauvignon blanc to be good candidates for grüner veltliner from Austria. The wine may sound Germanic and unlike anything they are used to drinking, but it often lines up well with their tastes and budgets. SM: What is the point of tasting a wine before it is poured? JP: Technically, it is to see if the wine is flawed, but for the restaurant guest, the point of tasting a wine before it is poured is to see if you like it. Our crew is trained to taste each bottle before it goes out to ensure flawed wines don’t reach our customers. If you don’t like the wine, you can send it back. We believe this is an important part of service, because we don’t want people to sit at a meal with a bottle they are not going to enjoy. SM: Do you have any advice for getting the most out of your interaction with a sommelier? JP: Don’t be shy about budget. The best way to indicate your budget is to use your finger to point to a price on the wine list and say, “I am looking for something along these lines.” The number doesn’t get verbalized, but the sommelier knows where to take you based on your price requirements and the style of wine you described enjoying. In the introduction to Jennifer McLagan’s fascinating new book, Bitter: A Taste of the World’s Most Dangerous Flavor with Recipes, the author imagines her subject through the lens of the Japanese word for bitter tanginess, shibui. Regardless of whether or not you care to break bread with a shibui gent, the question of what to drink when enjoying a dish that is intriguing, sophisticated, and bitter is not at all obvious. Bitter comes in many different guises: grapefruit, olives, artichokes, kale, couscous, and cocoa are all bitter, but taste very different. The fresh apple and mineral flavors in a young Austrian grüner veltliner like the 2012 Sohm & Kracher go beautifully with white asparagus or bitter citrus, such as Seville oranges. The hint of sweetness and mouthwatering acidity in a German riesling such as the 2013 Donnhoff Estate rounds out the bitterness in Brussels sprouts and brightens the flavors of many of its tastiest roasting partners, for instance bacon and chestnuts. The mix of dark berries and woodsy notes in a Rosso di Montalcino like the Il Poggione showcase the smoky bitterness of grilled radicchio drizzled with aged balsamic vinegar. Even a luscious fruit-forward Napa Valley cabernet sauvignon such as the Chateau Montelena has a touch of bitterness at its core, making it the perfect foil for the most decadent of bitter desserts, molten dark chocolate.